Welcome to GarrettCulver.com, root source for all things Garrett E. Culver, currently residing in northwest Pennsylvania, formerly of York, PA and Rochester, NY. Garrett Culver is a technology enthusiast who works in the field daily as a Director of Information Technology and private technology consultant. His fully detailed professional résumé is available online and for download in multiple formats: Microsoft Word DOCX or Adobe PDF. A brief one-page résumé can also be downloaded in DOCX or PDF format. In addition to his current full time job and part time consulting business, Garrett is involved with his local community. He serves as Secretary for Corry Area Arts Council, Inc and is on the board of directors for Creativity For You, an arts & entertainment driven affiliate of the Arts Council. He also volunteers as the president of the Alumni Board of Trustees of his college fraternity, the Penn State Behrend Chapter of Delta Chi. Additionally, he volunteers time as a contributor, moderator, and administrator to multiple online communities, centered around technology and troubleshooting. Garrett holds a Bachelor of Arts in English (affording him better communication skills than the average “tech guy”) from Penn State Erie, the Behrend College. Everything he has ever written for the web (opinion pieces, technical advice columns, editorials, reviews of everything from gadgets to games, to music, and movies) is archived at http://NuAngel.net (an online moniker he began using clear back in 1999). Garrett’s current “spare” time is often dedicated a small hobby he picked up in late 2015, to introduce himself to digital video editing. This project researches and introduces viewers to the story-driven fiction of some classic video games, such as Pac-Man and Donkey Kong. 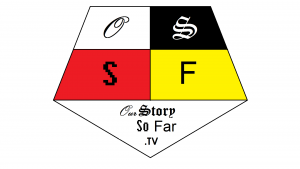 The videos can be found at http://OurStorySoFar.tv. It serves as both a lighthearted distraction from any day to day tedium and a method by which he can learn new skills such as creating content for the modern web.